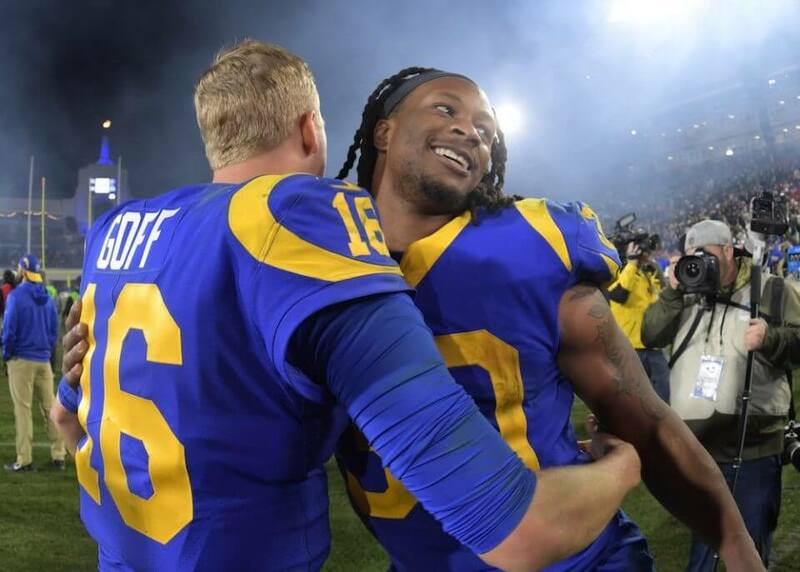 It is no secret that Todd Gurley was a non-factor in the NFC Championship Game against the New Orleans Saints, but Jared Goff expects that to change in Super Bowl LIII against the New England Patriots. Gurley finished with just 13 yards on five touches against the Saints. Although he managed to score a crucial touchdown, his absence from most of the game was still rather noticeable. As a result, there has been plenty of speculation regarding Gurley’s health after he was limited with a knee injury a few weeks ago. The 24-year-old has since been adamant that he is fully healthy and that his lack of playing time can be attributed to his poor performance against New Orleans. It is encouraging to see that Goff’s confidence in Gurley has not been shaken by one bad outing. More importantly, there is good reason for him to be optimistic about his teammate moving forward. Gurley had managed to piece together back-to-back MVP-caliber seasons prior to missing a couple games this season due to the knee injury. Not only is he widely regarded as the best running back in the NFL, but he is also one of the league’s deadliest offensive weapons thanks to his versatile skill set as a viable receiver out of the backfield. This may be why head coach Sean McVay feels inclined to get Gurley more involved on offense next time around. There is no question that the Rams will need to utilize every weapon in their arsenal to counter this efficient Patriots offense.